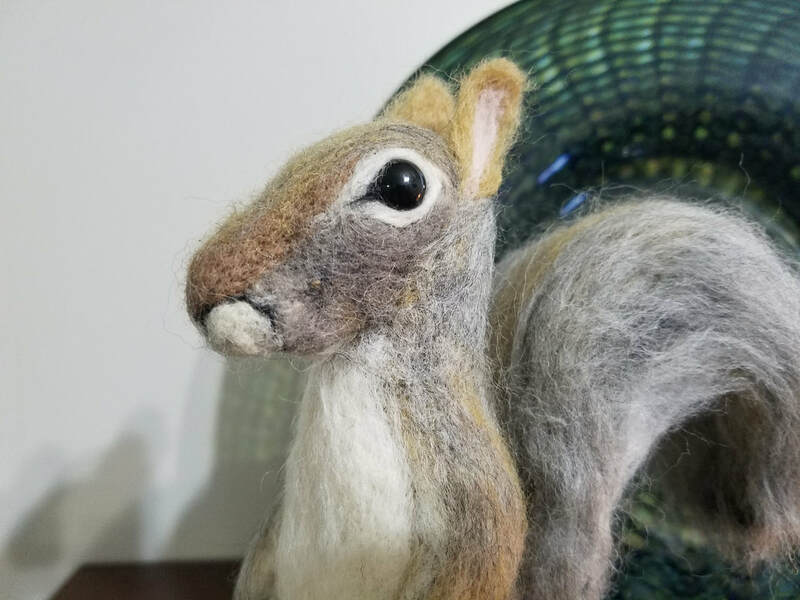 This is my first needle felting project and I'm giving it away! Yes you heard that right! 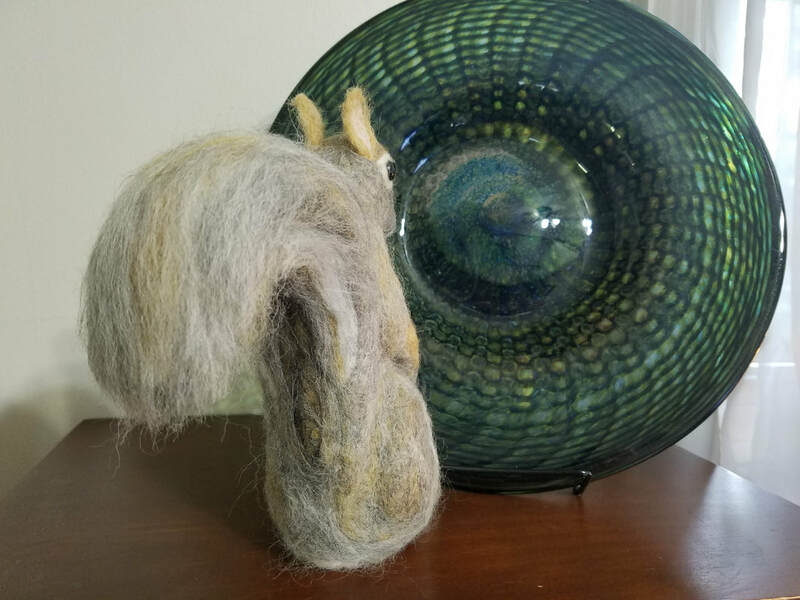 I'm giving it away but there is a catch. 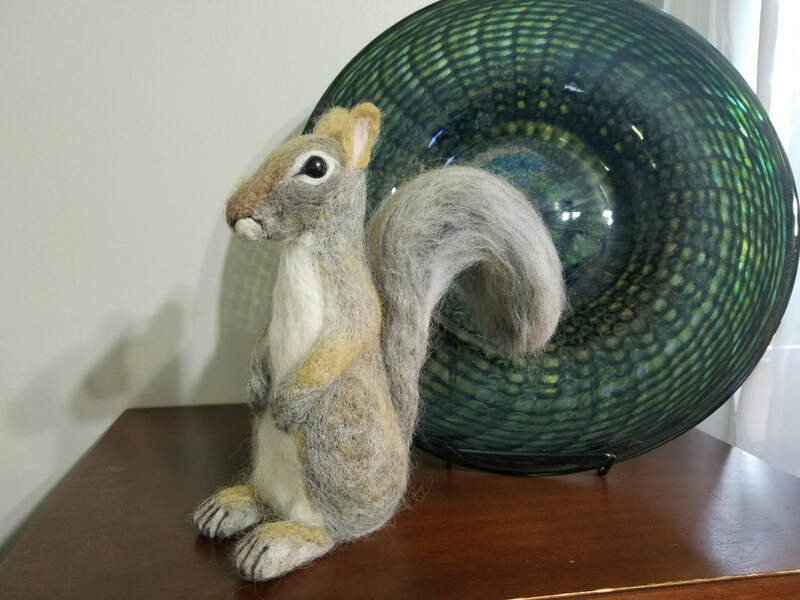 I am doing a contest of sorts and each donation of $25 is a chance at winning. If you donate $25, it's 1 chance, if you donate $50 it's 2 chances and so on. What the donation money is being used for is an enlargement to Joey's current enclosure. It will be used to cover materials and labor costs. Anything left over will be set aside for his continuing care. Now some of you who haven't followed me for all that long may be wondering who is Joey? 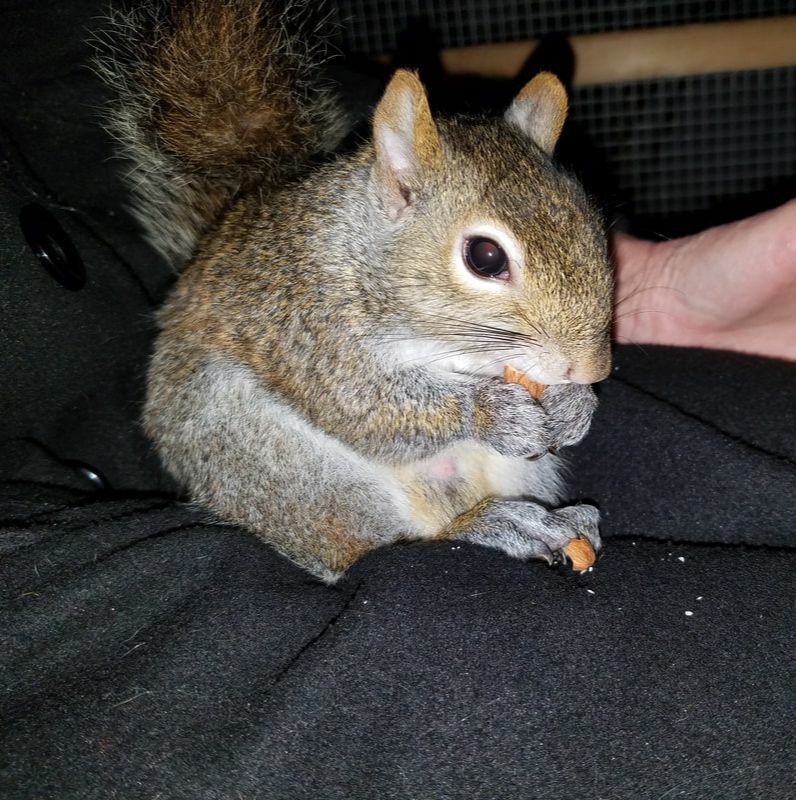 Joey is a non-release squirrel that I've hand raised since he was 4 weeks old. 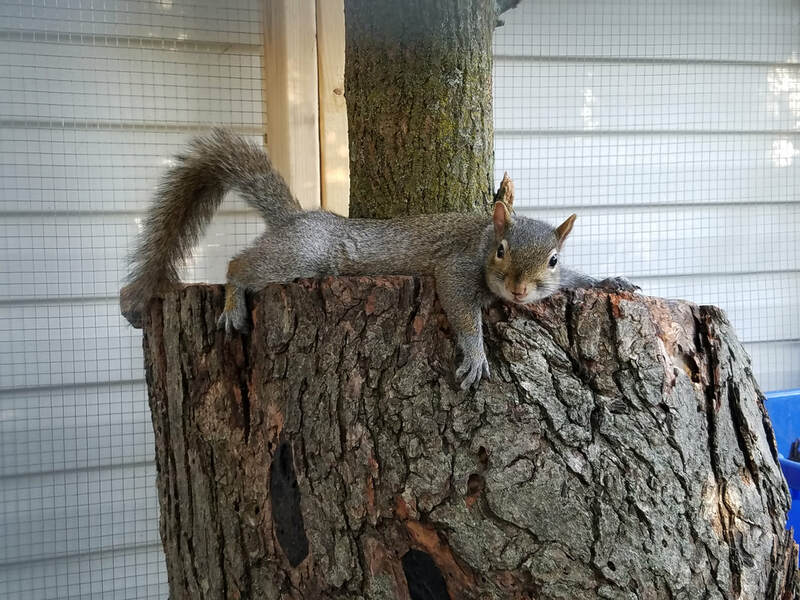 After 4 failed release attempts he's been with me for 2 years (10 years in squirrel years). 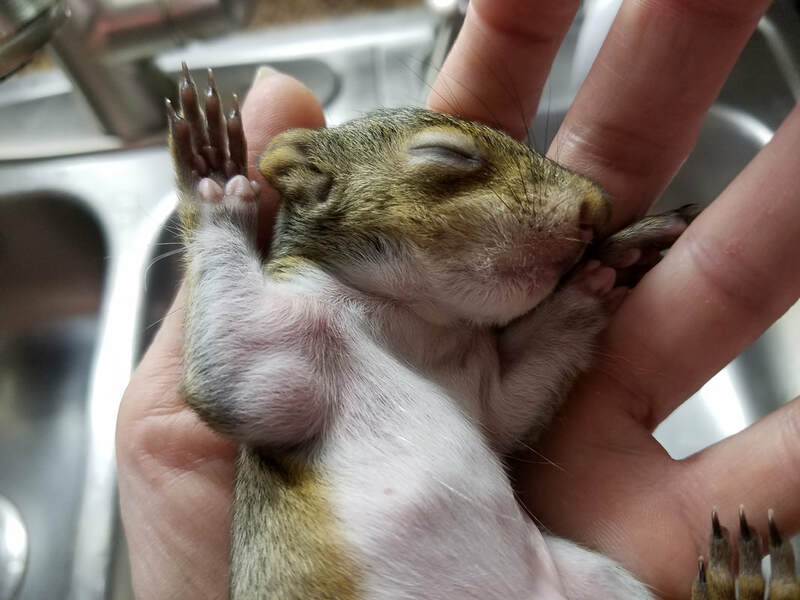 He's been through a lot in his short life from a broken arm with a hematoma when he was just a 4 week old kit, to a bad toe injury that became badly infected and another toe that had a partial amputation. 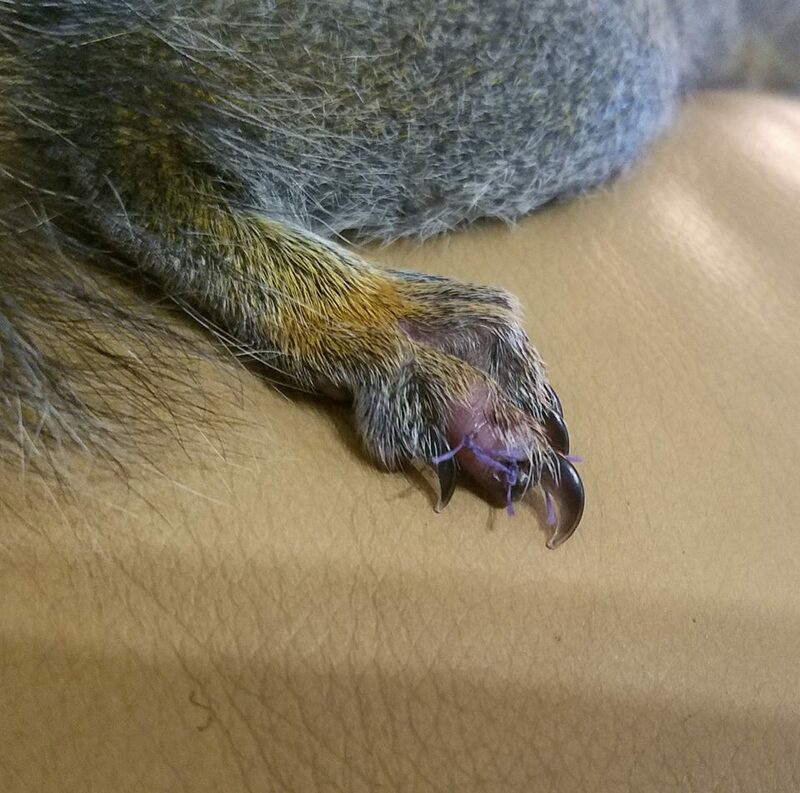 His vet did a great job in saving the nail! 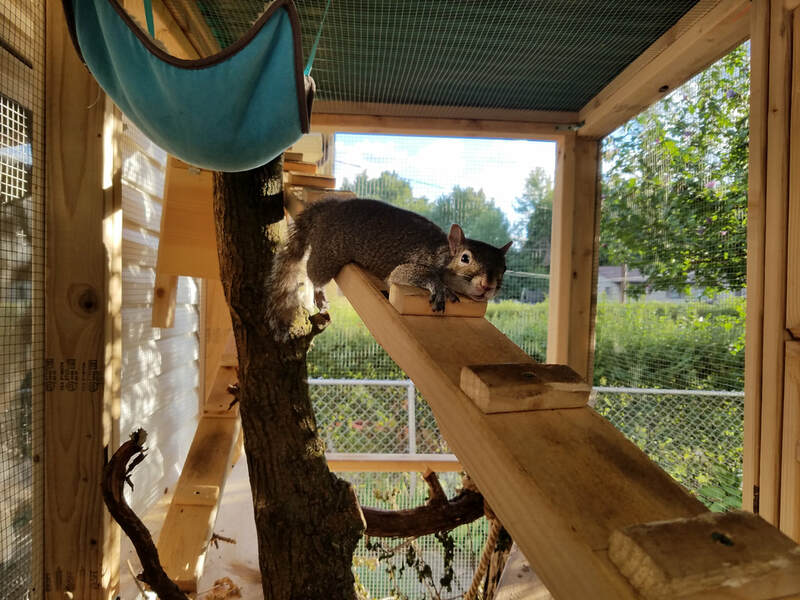 ​Joey and I will be always be forever grateful to those that donated last year to build the original enclosure but I want to give him as much room as possible to thrive! 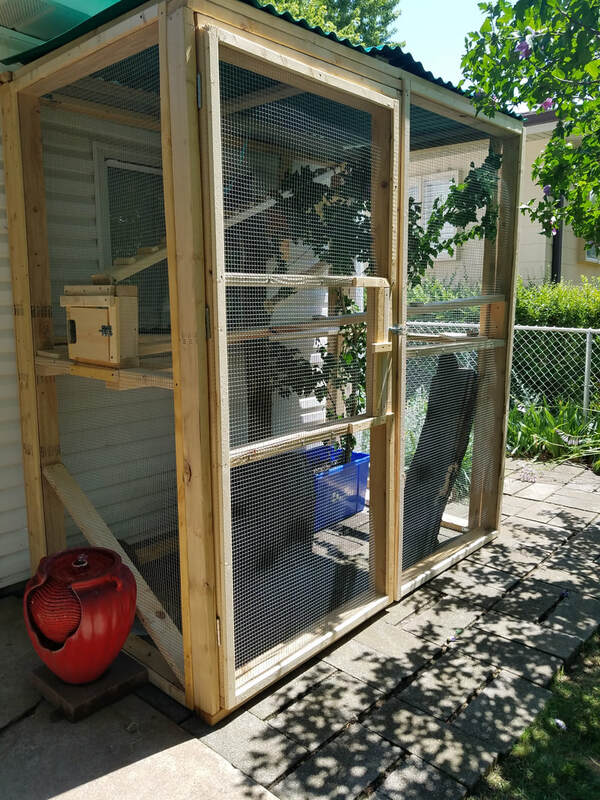 Currently this is the enclosure he is in. The plan is to give him almost that much more room inside the garage. 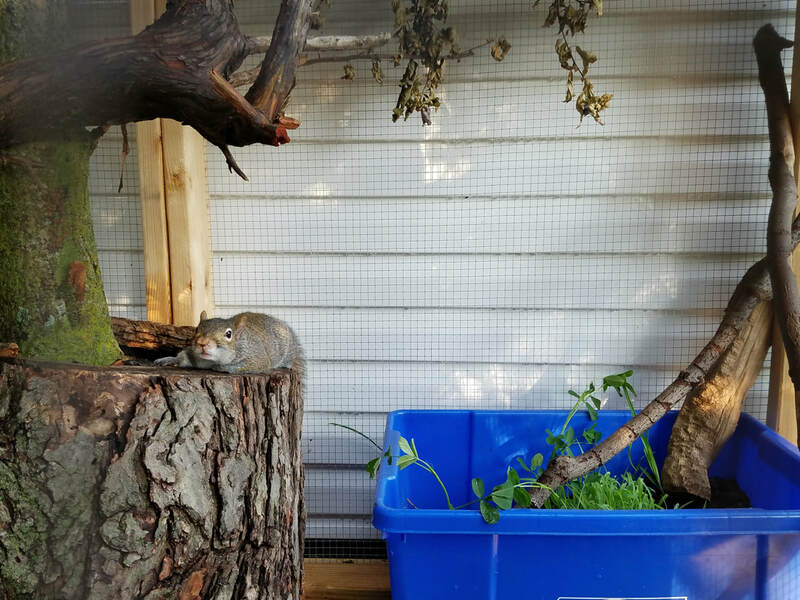 One of the window panes in the window to the garage was taken out and covered with plywood so I could seal it in, cut a hole and run a pvc tube through it into a small cage ( the things I do for this squirrel!! :D ) With the new build added on I'd be able to walk into it which will help more so in the winter when the temps drop and the garage is warmer than being outside. 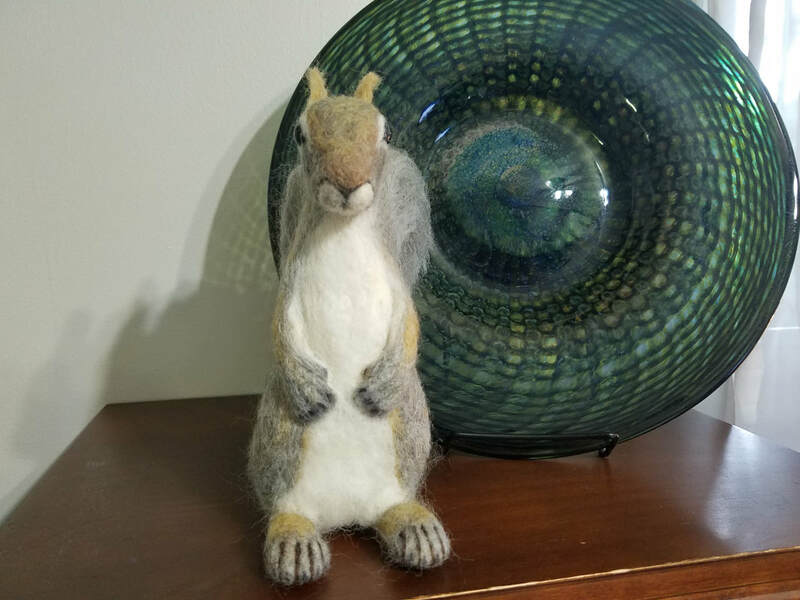 I sit with him every day and winters here get pretty cold. 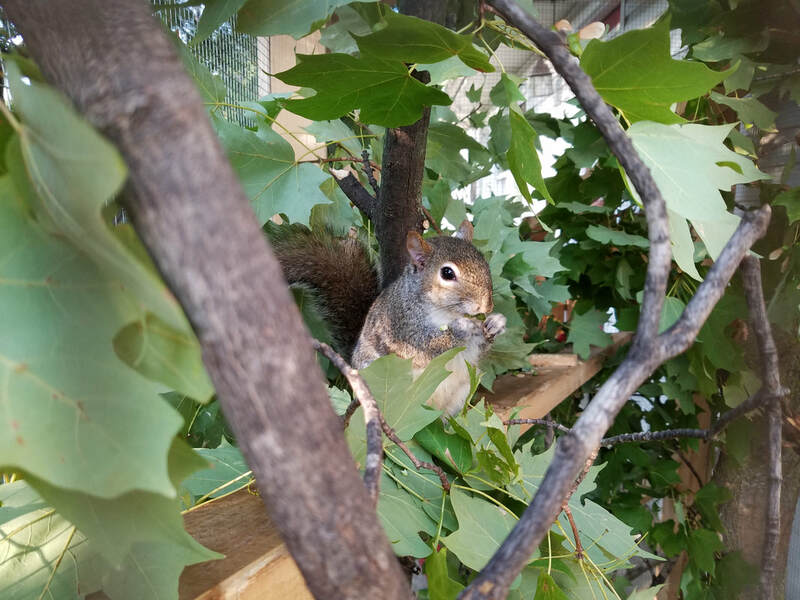 The add on will allow me to interact with him fully on a daily basis regardless of the seasons and temps. 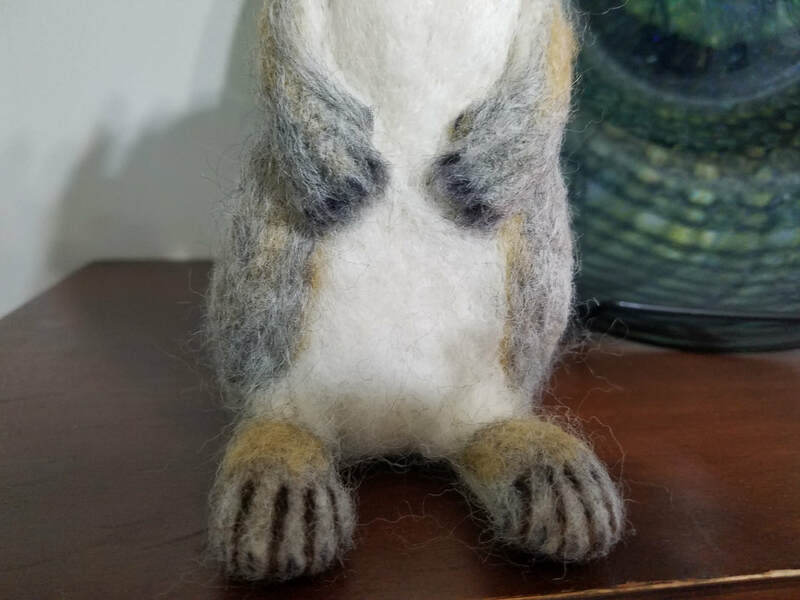 Last but not least is the giveaway needle felted squirrel! 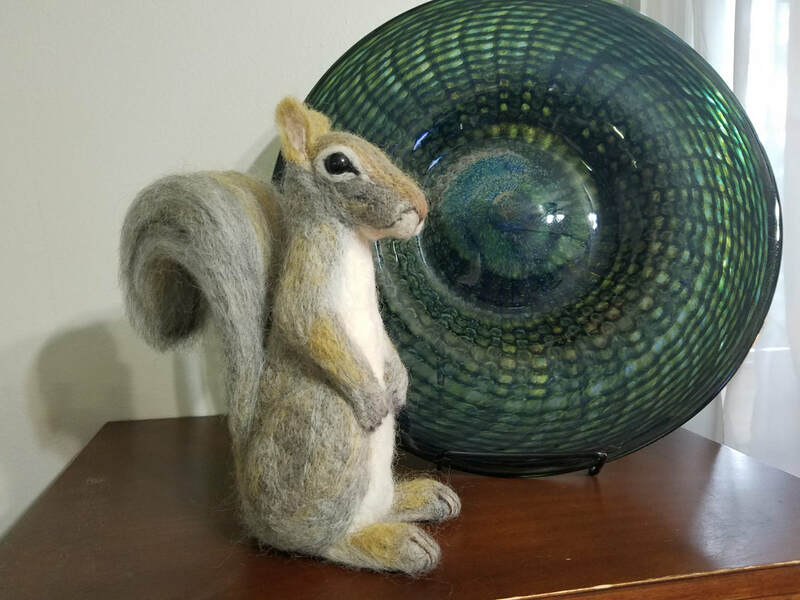 As I said, this is my first needle felted sculpture and as much as I love it I love Joey even more. I want to do everything possible to ensure he is happy and healthy for however long he is with me. I am more than willing to part with it to give him that. 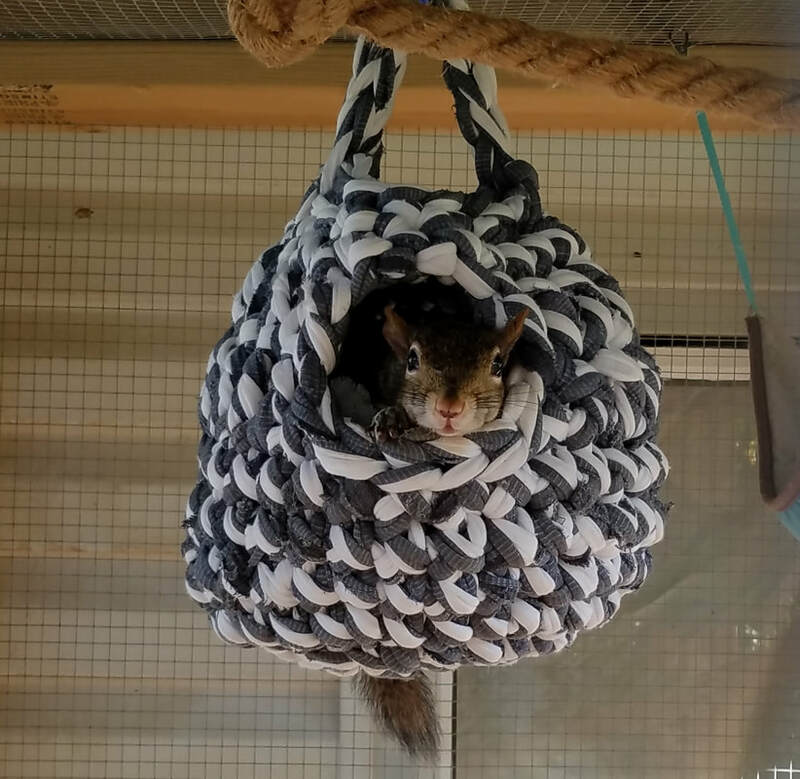 So, this is your chance at having a squirrel of your own and help Joey into a bigger space! 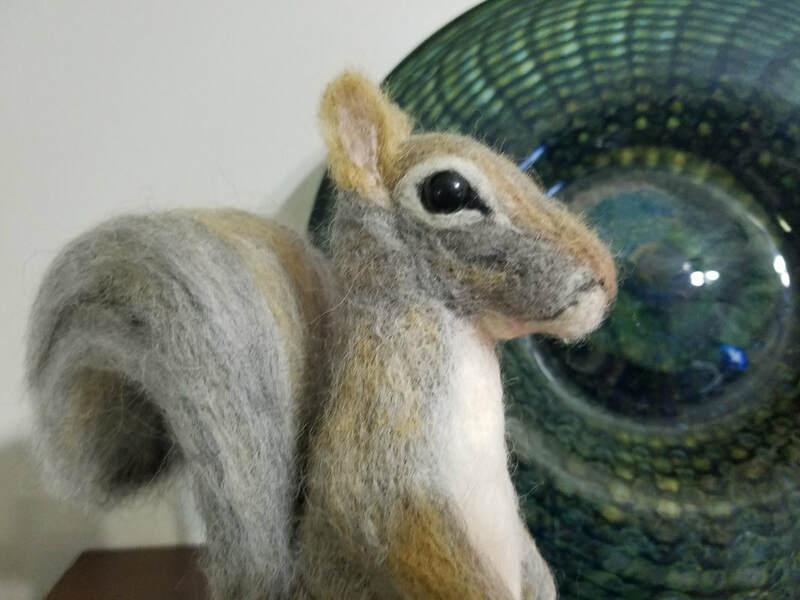 This little guy is right at 8" tall, close to life-size and I easily have 30 hours of working time into it figuring it out. I am going to run this giveaway/raffle/donation/contest from now until August 11th when I randomly draw a winning name from those that donated. That day is Joey's rescue day! 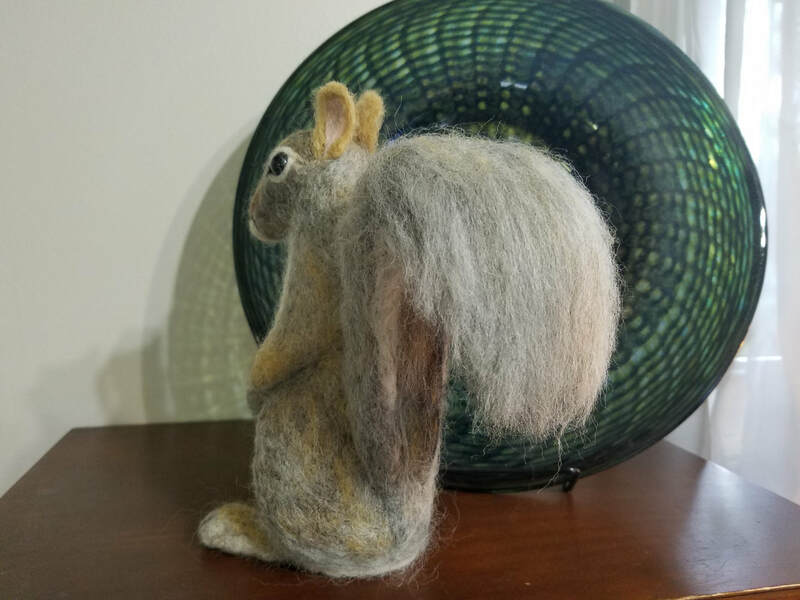 Call me crazy but I love my squirrel!